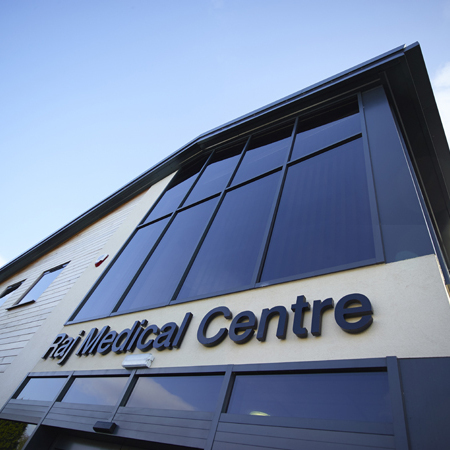 BELVOIR MEDICAL CENTRE, BINGHAM New 1400 sq.m.Primary Care Centre for Belvoir Health Group and Nottinghamshire PCT. This 1400 sq.m. 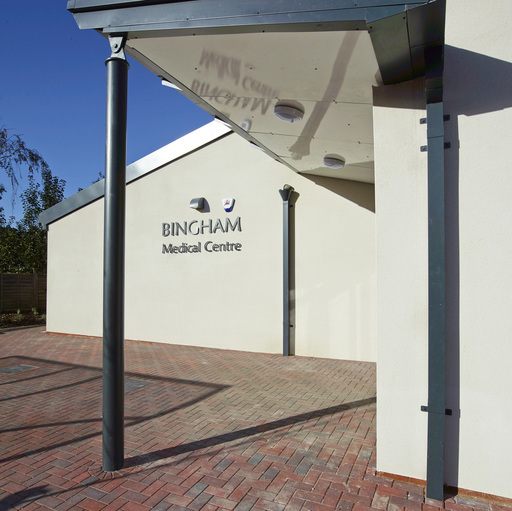 Primary Care Centre provides a purpose designed building for the Belvoir Health Group and Principia (the former Primary Care Trust). The site is located within the Bingham Conservation Area and involved demolition of an C18th cottage which had been unsympathetically altered over the years and was not suitable for conversion and inclusion in this scheme. 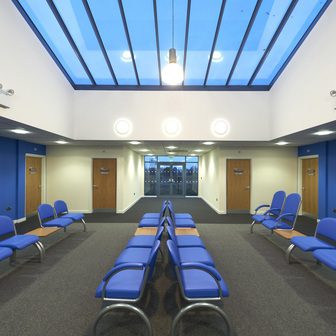 The building allows access to the Reception area both from Newgate Street and the main town car park, this is enhanced by the glazed atrium linking the two entrances and bringing light into the generously sized waiting area. 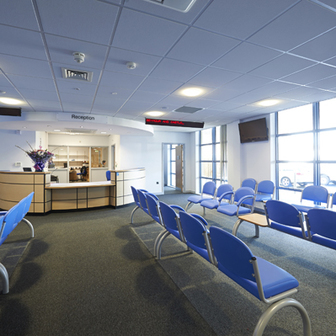 All publicly accessed areas are located on the ground floor with travel distances minimised by the centrally loctaed waiting space. 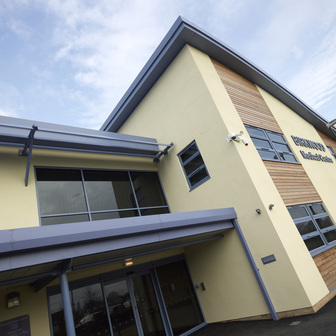 The building has achieved a BREEAM rating of “very good”. 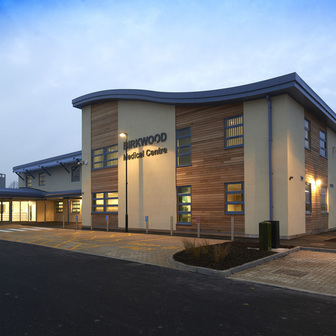 BIRKWOOD PRIMARY CARE CENTRE 1950 sq.m. 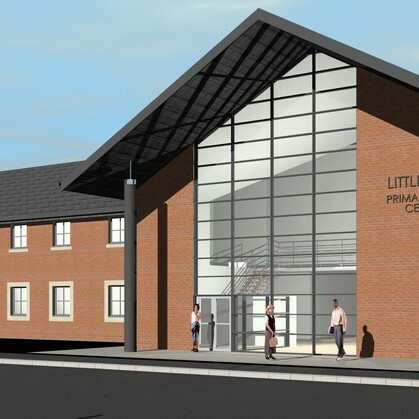 Primary Care Centre for 10 GP practice with nursing, minor surgery and community nursing and associated 100 sq.m. Pharmacy. 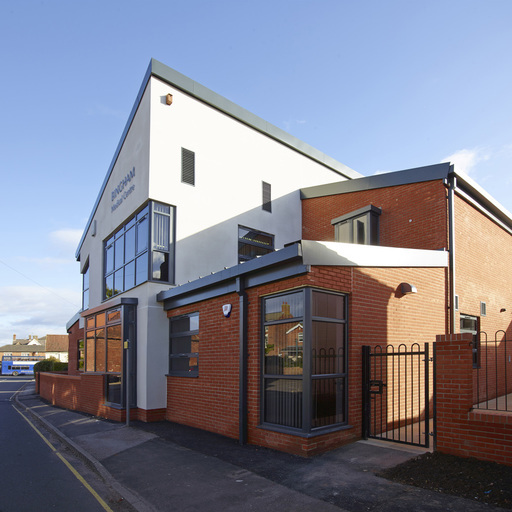 Birkwood Primary Care Centre provides an up to a date, purpose designed health facility for the Birkwood Practice which had previously been housed in a pair of converted semi-detached houses. 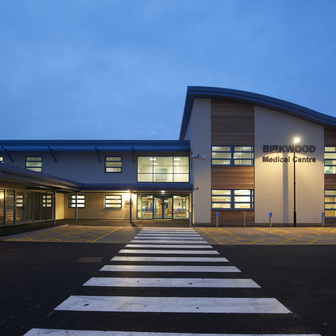 Numerous extensions and modifications had been made such that there was no more scope for further physical expansion of the building given the constraints of the site, thereby inhibiting the ability of the Birkwood Surgery to provide the range of services needed by the local community. 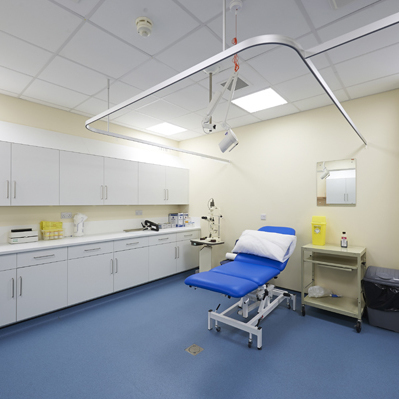 The new building includes a Minor Surgery suite with clean and dirty utilities, scrub up, staff and patient changing, clinical store, clinical waste, sample WC and recovery. A 100 sq.m. 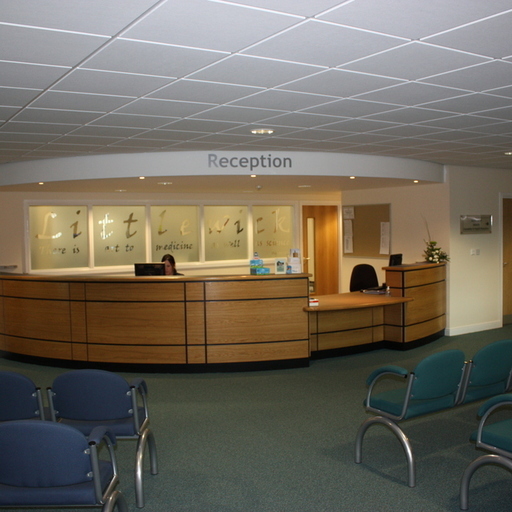 Pharmacy is also associated with the Primary Care Centre. This site is situated on former allotments adjacent to proposals for the regeneration of the Wetlands area and forms part of a green corridor along Westward Ho. The scheme has been developed to respond to its location and integration with the surrounding landscape. 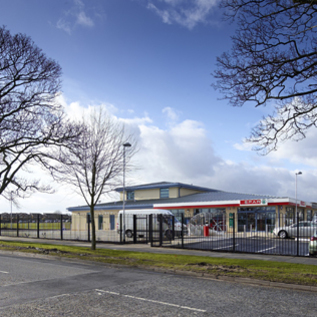 A & J Architects were appointed by Leven Investments to carry out the design and development of the project and take it through the planning process. 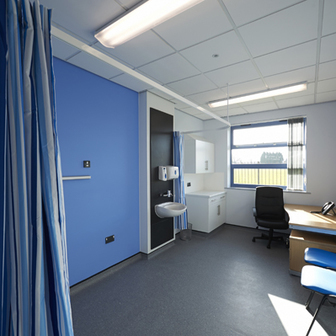 There was continual liaison with the Doctors in order to develop the health centre they required. 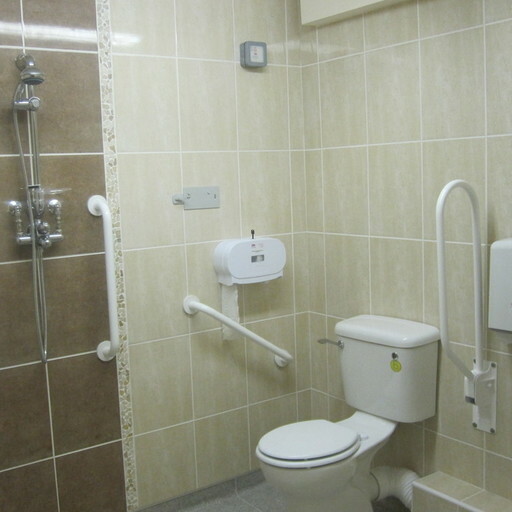 This relationship with the end users continued through to the on site developement as A & J were novated to carry the project through to completion. Mrs Jenny Jacklin, Practice Manager, Birkwood Medical Centre. 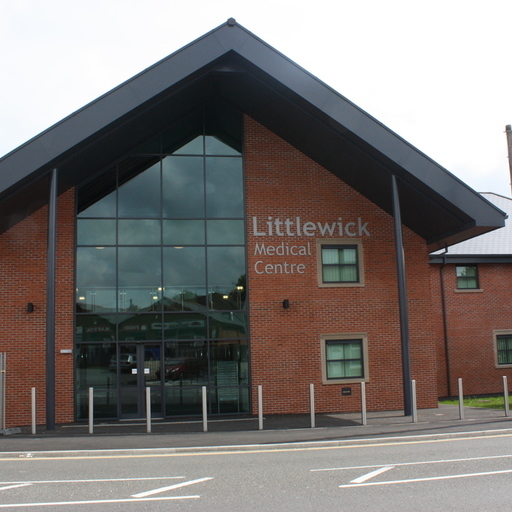 LITTLEWICK PRIMARY CARE CENTRE Medical centre for 14 doctor practice and Community Nursing. 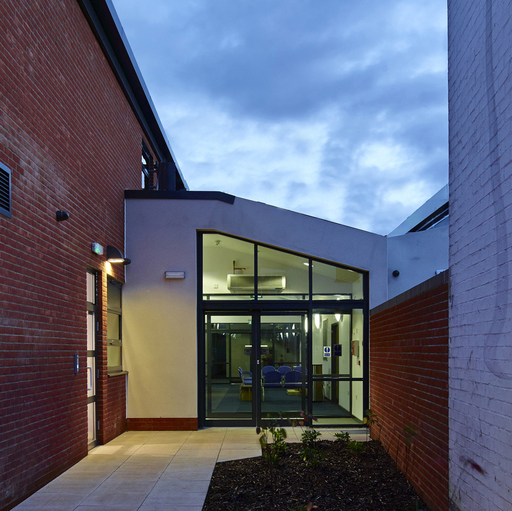 This was a more complicated project in that it required a 2 Phased development to enable continued use of existing premises and temporary accommodation during construction. 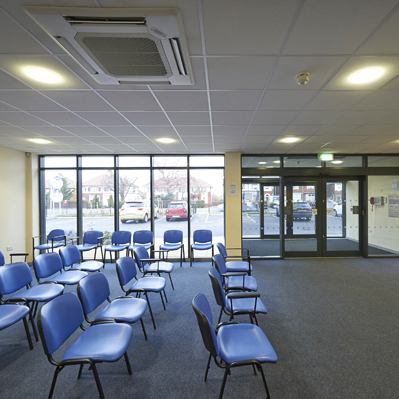 Following completion of Phase 1, the practice moved into the completed area of the building following which Phase 2 was completed. Dr Gail Walton, Managing GP Partner, Littlewick Medical Centre. 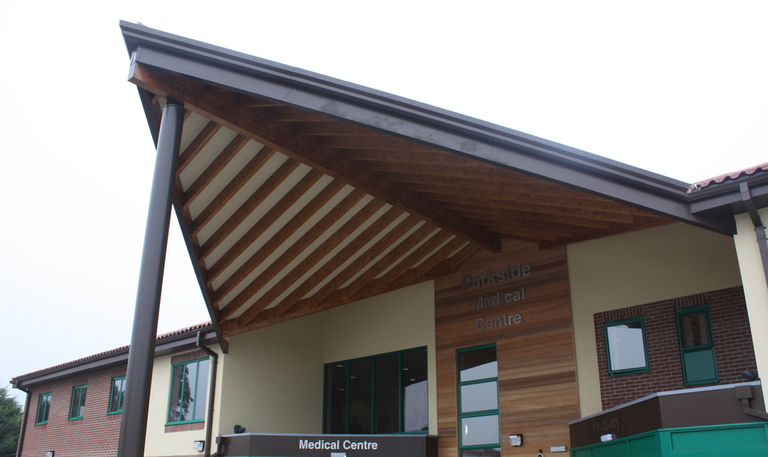 PARKSIDE MEDICAL CENTRE New 800 sq.m. extension and 700 sq.m. 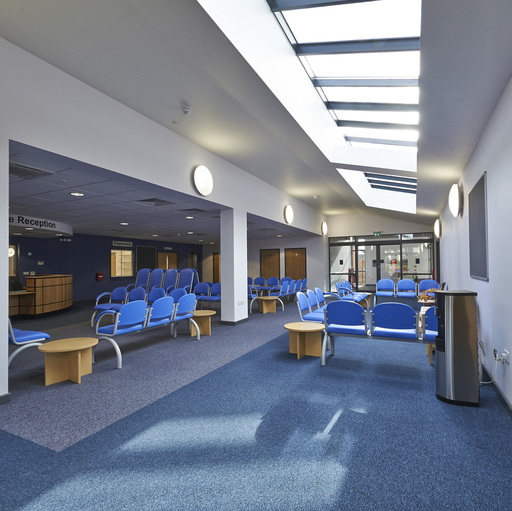 refurbishment to Primary Care Centre and Pharmacy for Parkside Surgery and Lincolnshire Co-Operative. 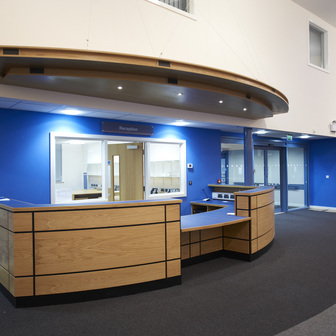 This was an extension and alteration of an existing medical centre that can now accommodate a patient list of 20,000. 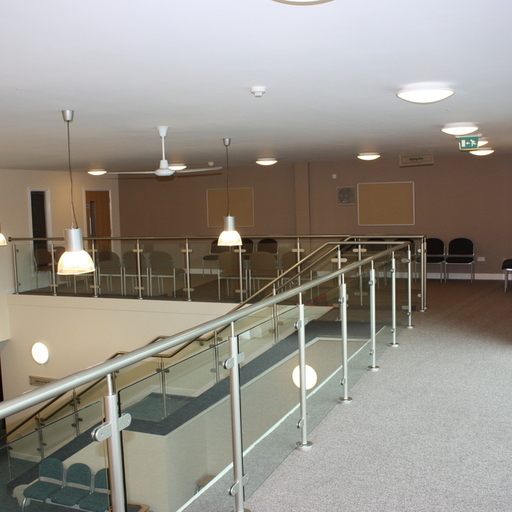 The 2 storey extension doubled the size of the original building and the alterations were carefully planned to minimise disruption and to enable the practice to continue operating during the construction work through the use of onsite temporary accommodation and carefully phased refurbishment work. Parkside is located within a Conservation Area which required careful consideration particularly on the Tawney Street elevation. In order to make space for the new building work, a car showroom was demolished as part of the project. The new entrance canopy draws people in and highlights the importance of this facility in Boston. David Harding, Practice Manager, Parkside Medical Centre. 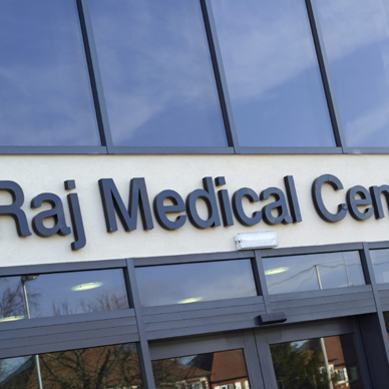 RAJ MEDICAL CENTRE 900m² integrated healthcare centre for a 3 GP practice serving over 4,500 patients with onsite Pharmacy. 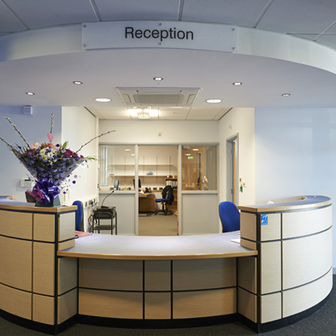 The practice were working from a converted residential building which was no longer adequate to support modern medical practice. The site was an area of vacant land between St Mark’s Church and the previous Doctors’ surgery, a converted semi-detached house. 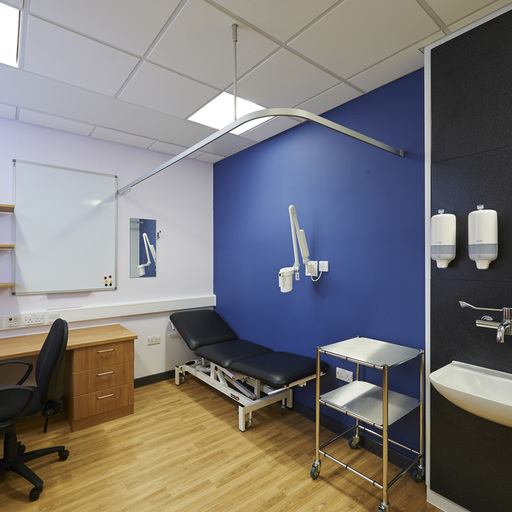 It was of great importance not only to the existing surgery but also to its patients and local community that its new purpose designed accommodation would be adjacent to its previous building. 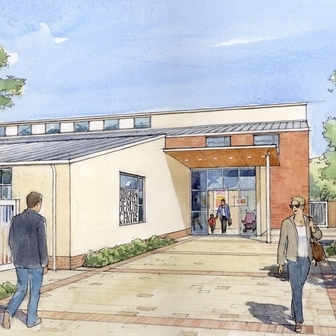 The site was constrained by its size and an agreement was reached with the existing Church to share car parking across both sites, which was advantageous to both parties. A & J Architects provided a high quality design that not only regenerated a vacant site but added interest and value to the existing streetscape on Laceby Road. Start on site – April 2010, Completion February 2011. Following a long gestation period this scheme finally hit the floor running! 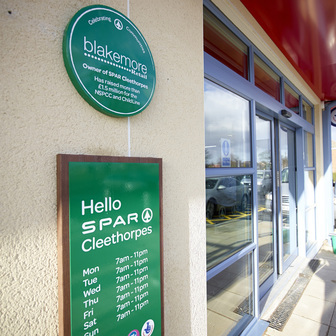 A & J Architects have been involved with helping the developer, the doctors and retailer to realise the much needed, modern facility that has been successfully completed. 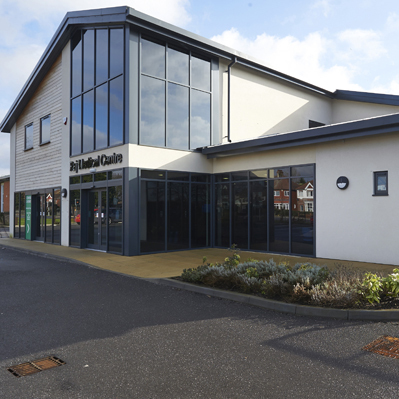 A & J Architects represented the developer in the design and development of the scheme and continued to work through the project following novation to the main contractor. 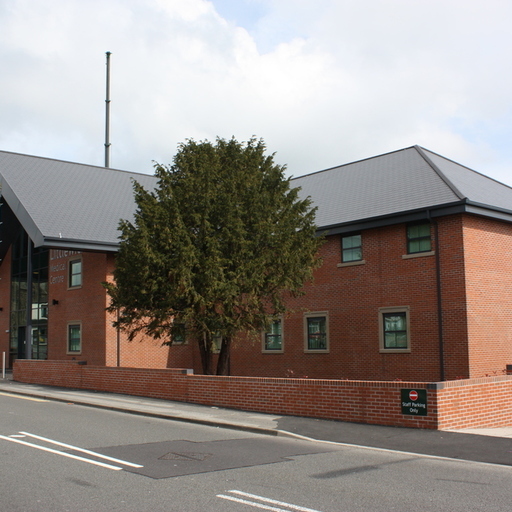 This project was on the site of the former Lynton Pub on Taylors Avenue. 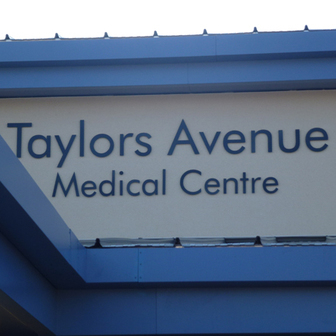 Taylors Avenue is a location which was well supported by the two doctors’ practices and the CPT. The proposal included the development of an associated Pharmacy and a Convenience Store. 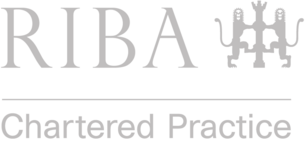 Due to the capped level of rent revenue from the CPT and the land value, the viability of the project depended on the inclusion of the convenience store. This exciting new BREEAM Very Good development was well received by all three tenants when it opened. 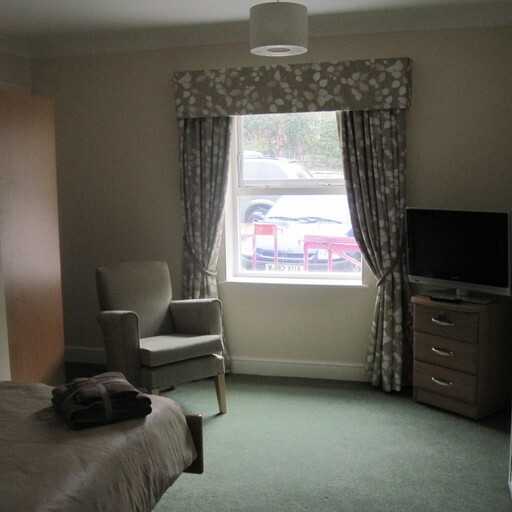 WOODLEIGH CHRISTIAN CARE HOME Extension and alterations to Care Home. 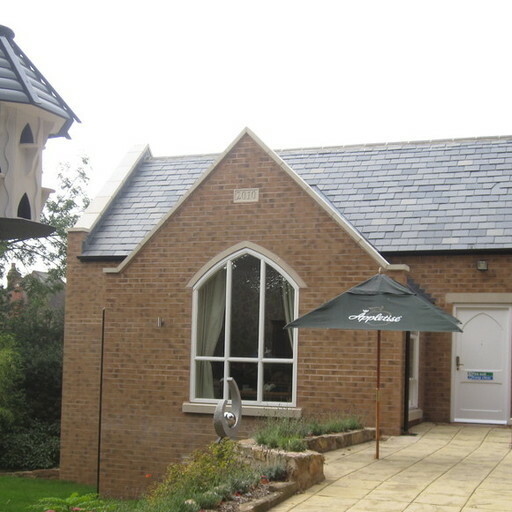 This project was an extension and alteration of the Woodleigh Christian Care Home, Mansfield. Woodleigh was built in 1883 and is a 2/3 storey stone building in the Mansfield Conservation Area. Attached to it are a former stable block and an early 20th century Chapel and other more recent extensions. 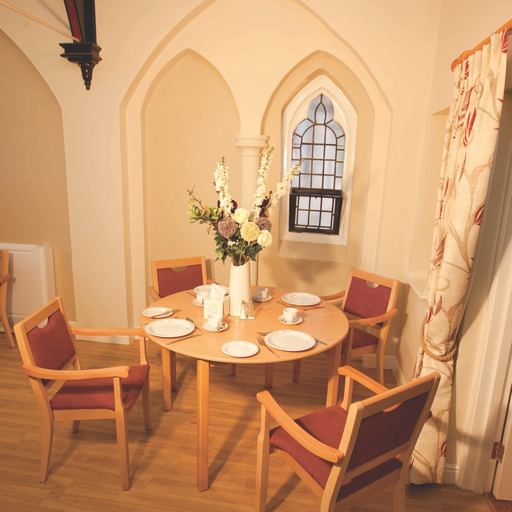 The requirement was to provide an additional 9 single occupancy bedrooms and re-organise the overall layout of the home to create several smaller communal areas, each with its own individual character. 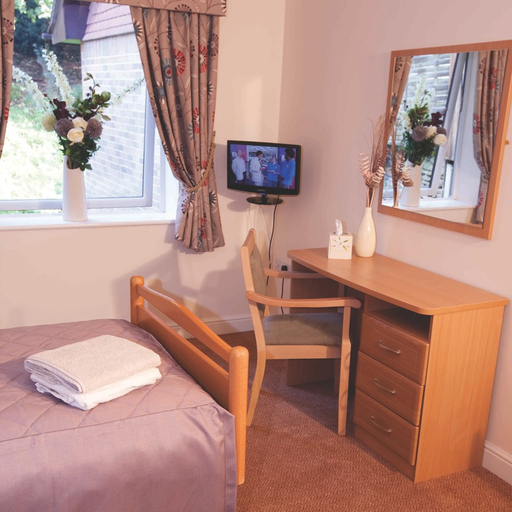 Giving residents more choice and creating a more homely feeling. This enabled the bedroom accommodation to be better organised.